A few months ago, Twenty Third Century Systems, a local enterprise software company which is the country’s distributor of SAP solutions with a strong footprint across Africa, was acquired by a South African entity, EOH. Twenty Third Century Systems is one of the leading enterprise companies locally and through the deployment of SAP Solutions, has serviced private and public sector entities. The deal, which transferred between 49% and 80% of Twenty Third Century Systems to EOH ownership, has now come under scrutiny from the Ministry of ICT. 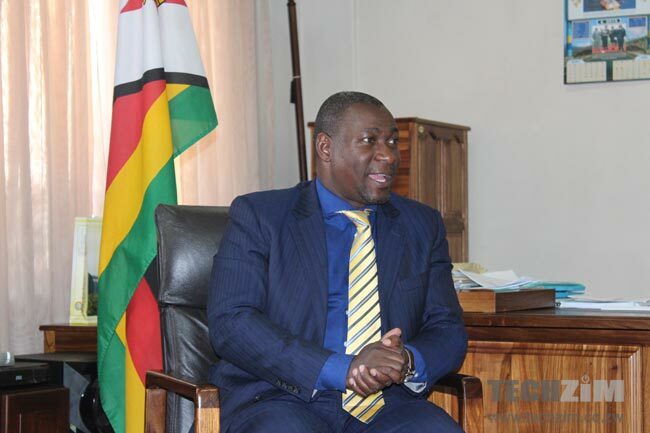 According to a report in the Herald, the Minister of ICT, Supa Mandiwanzira, the country was being exposed by giving a foreign company access to sensitive economic data. Other than the risk of economic espionage, the Minister pointed out that there was a need to have multiple suppliers of enterprise solutions to guard against the risk of one entity and its pricing. Twenty Third century has deployed $35 million worth of ICT solutions to government departments. Is there merit to the Minister’s argument? Well, yes, when you consider the fact that Twenty-Third Century’s new ownership structure could potentially be violating local indigenisation laws. Any negotiation from Twenty-Third Century should have considered this significant factor. This was even more pertinent considering the extent to which the company has its hands in government related projects. However, there is likely going to be a response from the company that regarding espionage and data security, SAP Solutions are robust, secure, free from external interference and probes etc. It will be the usual pitch that any sound enterprise company with a solid solution will deliver. The real objection from the government is less about the security of the solution, but who owns the company delivering the solutions, and how much of the government’s business is being delivered by them. The Government is working on an extensive rollout of e-governance solutions and the fact that this business is being shored up largely by one company that has some indigenisation violation hanging over it must have raised eyebrows. Companies like e-Solutions and Afrosoft Holdings easily come to mind because of the customized solutions they have already delivered for government departments. Or maybe it’s another provider altogether. This guy is a douchebag. He is clearly very clueless. The stuff required for him to handle in this ministry really flies over his head. He hardly understands the difference between data, software and hardware. First, SAP is not a Zimbabwean software, its a German company. It has been implementede peacemeal by this company for years. TTCS took over this project from a foreign company that was implementing it years ago. But the data is not backed up in South Africa. The servers are in Zimbabwe. Zimra servers for example are at Zimra. Supa is like Chamisa. Full of hot air, but with very little gravitas. Both think that if you have an Ipad and you can download apps, you can now run a technology ministry. Shame. I think our minister should just zip it up! The more he talks, the more he shows his little to zero understanding of how IT world works! Lets say l buy his spraying of security and espionage against the gvt and economy. How is Zim doing on that front is the first question? My answer to that is our gvt have done almost nothing to promote home grown software and solutions. How then do you guard against software which is developed in the other countries. To make matters worst, the software which is extensively used in Zim gvt offices is from those countries we are harassing about imperialism and sanctions at every given opportunity. I am sure both the minister and reporter did not seek to get their facts right prior to making comment. TTCS has various subsidiaries across Africa, the bit that talks of 49% and 80% thus talks of the spread across the subsidiaries in which EOH bought stakes and not a range of an unknown percentage in which the deal was structured. The Zimbabwean concern was only acquired up to 49% in compliance with local indegenization laws. Other subsidiaries in other countries were acquired in other varying shareholding mixes up to 80% thus the confusion. I am sure if one really requires such information it can easily be acquired if a deliberate effort not to rush to press is made. It is called selective reasoning that is the hallmark of Zimasset which was perfected by Mavhaire even though he did not know where he was going? You see Supa M. is the only person in Zim qualified to run a radio station according to Mahaso?